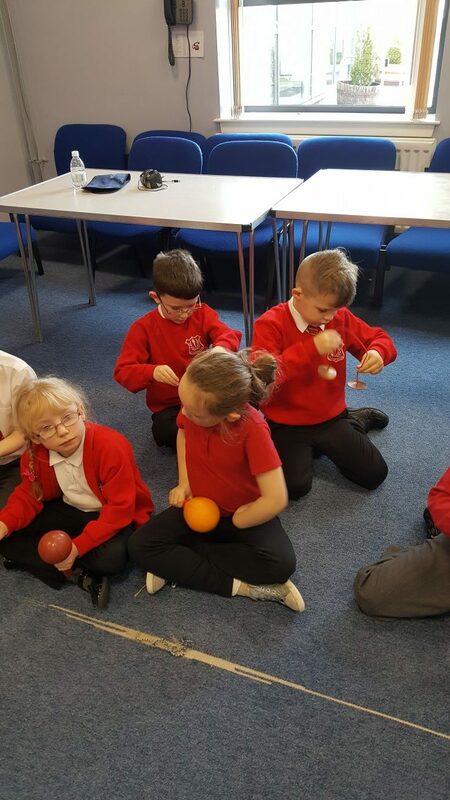 Yesterday, Monday 27th February, Base 6- Primary 2, had great fun being scientists. They were learning about different forces during a Generation Science workshop called Ready, Teddy, Go! 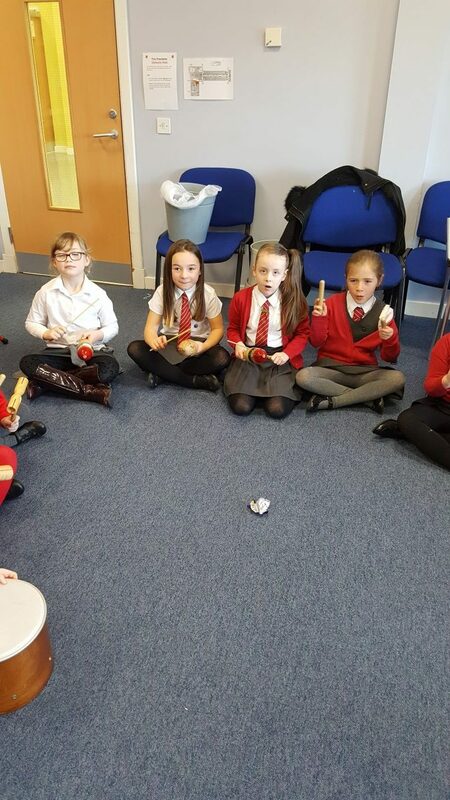 We are learning to perform in a group by playing our percussion instruments on a given beat of the bar. It sounds great when we all play in time together! 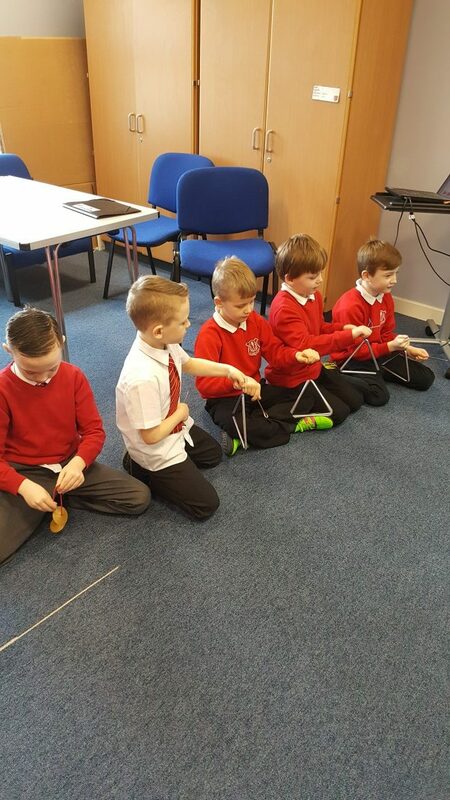 Base 4 have been working on their circus skills in preparation for our performance. We can’t wait to share our learning with our friends in primary 1-3. Have a look at some of the skills we have been learning. 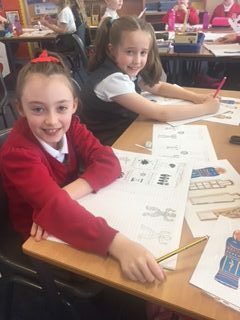 Base 10 have been learning gruesome facts about the process of mummification! 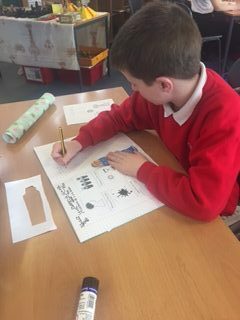 Base 10 pupils enjoyed creating a collage of Tutankhamun with gold paint and tissue paper to consolidate their learning within the class. Tutankhamun is ancient Egypt’s most famous pharaoh! Miss Taylor led dance classes for our pupils during our Right’s Respecting Festival. 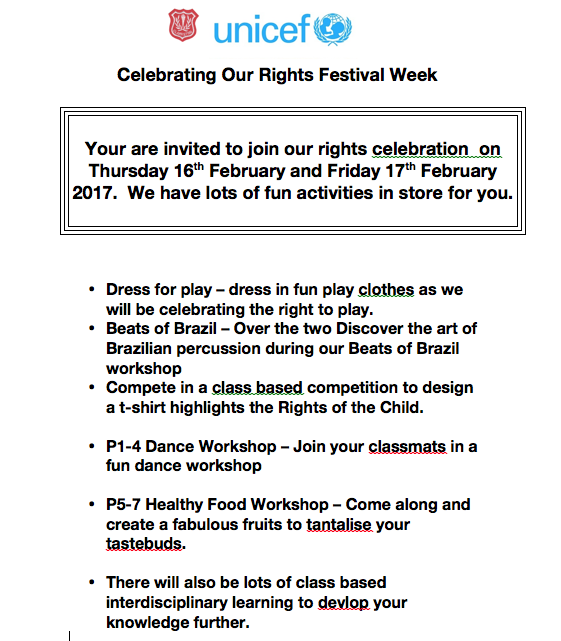 Author Mrs ChalmersPosted on February 17, 2017 Categories UncategorizedLeave a comment on Dance, Dance, Dance! Article 31 of the United Nations Convention on the Rights of the Child says that children and young people have the right to have fun in the way they want to, whether by playing sports, watching films, or something else entirely. They have the right to rest, too. Children and young people should be able to take part freely in cultural activities, just like adults. 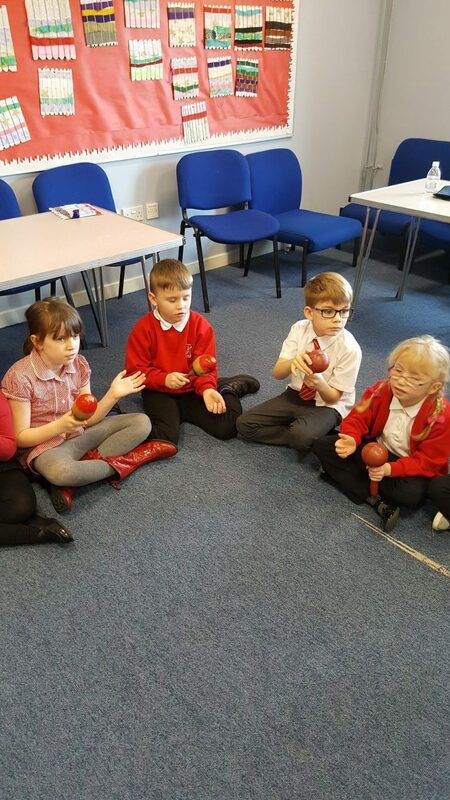 As part of our Right’s Respecting Festival, pupils had the opportunity to discover the art of Brazilian percussion grooves with the carnival duo from Beats of Brazil. 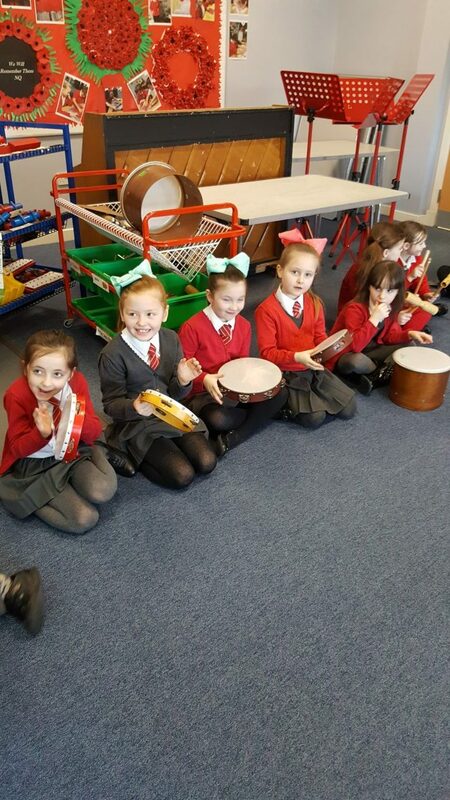 We certainly had an energetic time, learning various Brazilian rhythms and techniques allowing us to perform as part of a team. Our Eco Council pupils had a great time filling up our bird feeders and bird house with extra tasty snacks during the RSPB’s Big School Bird Watch. We will keep a close watch to see which food the birds prefer to eat.